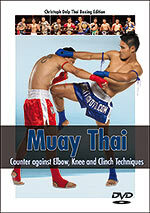 The DVD series on Muay Thai (Thai Boxing) is made up of five DVDs and introduces the techniques and the training. 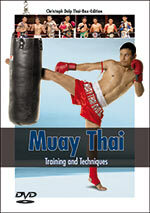 The DVDs in combination with the three books provide comprehensive detail on Muay Thai. The DVDs are structured as such that they can be understood separately. It is not necessary to watch the DVDs in sequence. 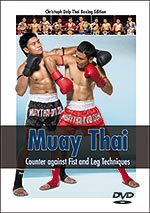 The techniques are performed by current Thai-Boxing champions. . The techniques are demonstrated by current Thai-Boxing champions. All training contents are introduced in detail. You will find combinations for your individual training. The most important feints are described comprehensively. The performers are current World and Thai champions. They demonstrate important training contents. They introduce their best techniques.